CH Technologies offers a selection of high quality, industry-proven, Nanoparticle Generators (NPGs). 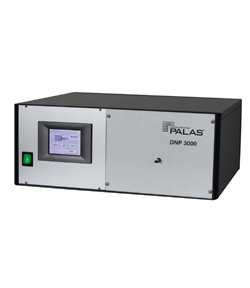 This family of generators offers an array of solutions perfectly suited for meeting the challenges posed in the expanding field of nanoparticle research. 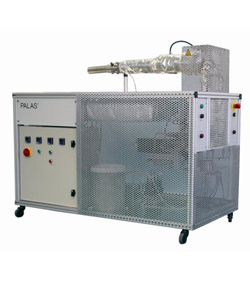 CH generators are respected and relied upon in labs and industrial settings alike where they are called upon to generate a broad spectrum of materials from combustion exhaust to pure gold. The CH NPGs are manufactured to the highest standards and utilize the best available materials. Each of our NPGs reflects the CH commitment to providing every customer with robust, flexible equipment optimized to the customer's precise needs. Able to produce an adjustable monodisperse aerosol of nanoparticles from a source which utilizes conductive rods. Large scale soot generator designed to simulate combustion products.